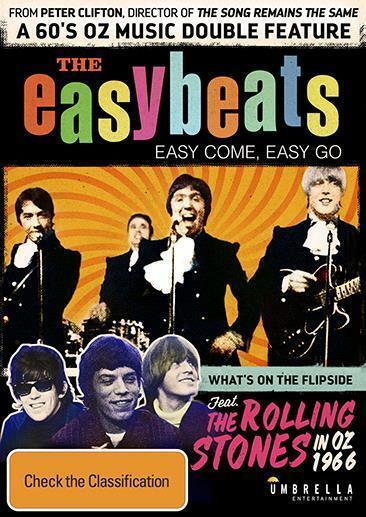 Cover art for Easy Come, Easy Go released with Rollings Stones in Oz 1966 as a bonus feature. This cover image is now doing the rounds of Australian DVD retailers. From the look of it, they’ll be additional content about The Rolling Stones’ Australian tour of 1966. Most likely, this will feature the Bandstand footage of the group from Feburary 1966. Newsreel footage from that tour. UPDATE: since this post, further press releases have been issued. The Rolling Stones feature is What’s On The Flip Side a documentary feature by Chris McCullough covering the band’s 1966 tour of Australia.